Months before that actual wedding day, a Save-The-Date is given to guests. This is a crucial invitation card since it heralds the upcoming wedding of you and your partner. As such, the design should be as special as the ceremony. 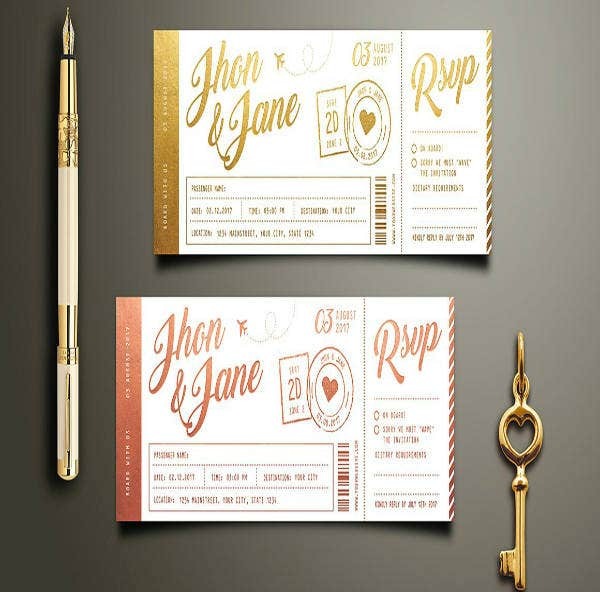 You can choose to create the invitation design from scratch or you can just pick a template from the list that we have prepared below. You don’t need a graphic designer to assist you as they are easily customizable. 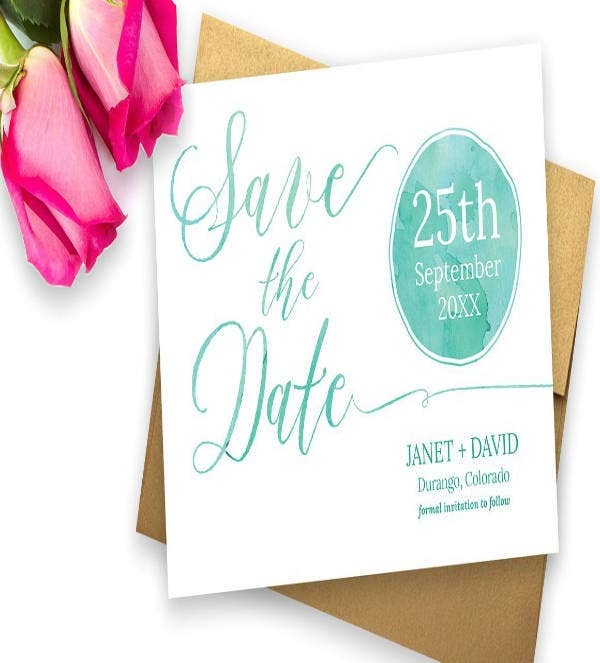 Let your creativity run wild by downloading and editing a save-the-date wedding invitation template! These two are the most commonly interchanged terms in weddings because they are both announcements in a sense. You might think that they are the same, but if you look at their history, you would find the differences that make them have varying purposes. 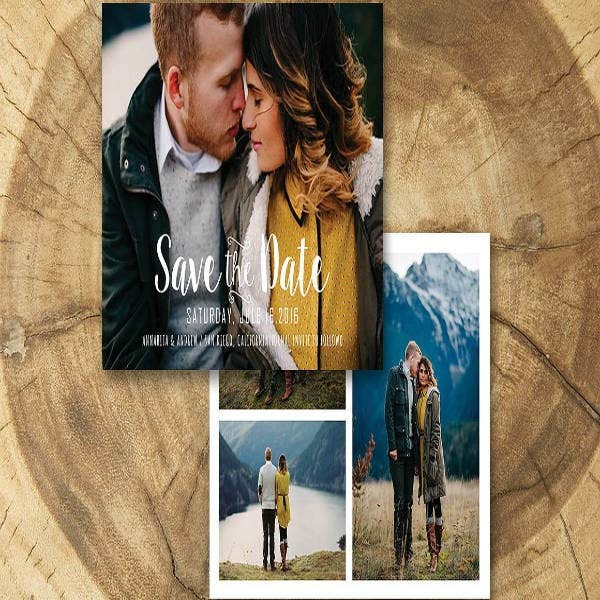 You may also see save the date postcard templates. In terms of details, the save-the-date and wedding announcement have the same ones. 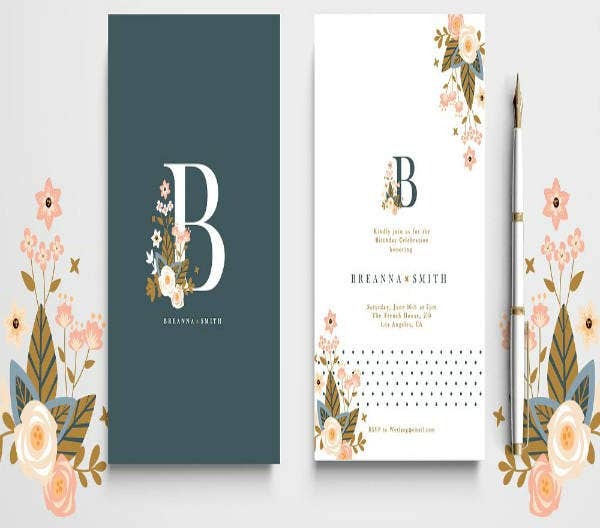 The details are the names of the couple, the date and time of the wedding, the address of the venue, and the dress code if the couple requires the guests to wear one. It’s just the standard information that you would expect from any announcement or invitation. The difference between them lies in when and to whom they should be sent. 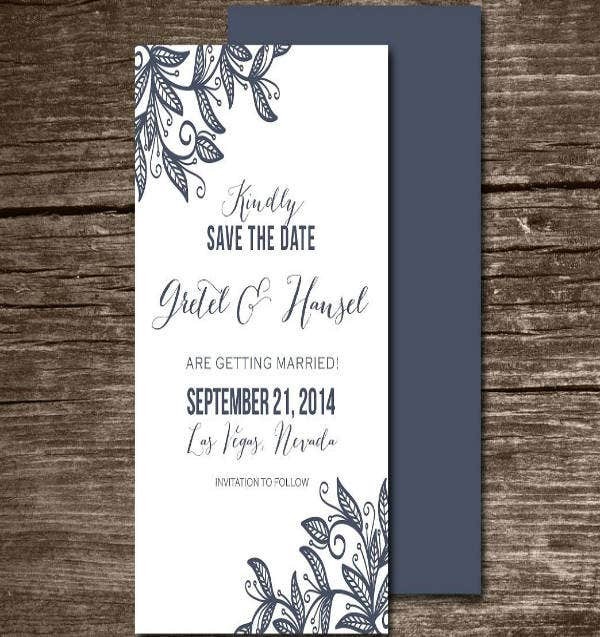 A save-the-date is sent months before the actual wedding day. This allows the guests to prepare ahead of time to clear their calendar, file for absence leaves, and save up for the trip to the wedding if the venue is quite a distance from where you live. So who are the recipients of the save-the-date? They are the people that you want to invite to the wedding. The guests that you have personally chosen to be part of this special moment will exclusively receive the card that serves as the ticket to the wedding. In contrast, the sample wedding announcement is given to people who you (unfortunately) can’t invite to the wedding due to some reasons. It is normally given after the wedding has happened because It would be devastating for the guests to know if the wedding announcement had already been given but the wedding tragically did not push through. The guests do not deserve to be put under such pain. Let’s avoid that as much as possible and avoid sending the wedding announcement before the actual day of union. If you look at it, the differences are minimal but the impact is exponential. Now that you know the purpose of each card, you should be able to plan ahead as to when and how you are going to create them. It would be better if they are created at different times to avoid a mix-up. You may also see fascinating wedding invitations. You already have the ring on your finger and the wedding is on its way. Now, it’s time to let your guests be aware of the life-changing union that you and your partner will be having months from now. Since this is a special day, it should be done completely right from the beginning. To avoid the most common mistakes in save-the-date, whether it’s the distribution or creation, you should check them out below. You may also see wedding invitations. Obviously, this counts as a mistake. Although you don’t have to send a save-the-date, you are typically doing a disservice to your guests by not sending them. 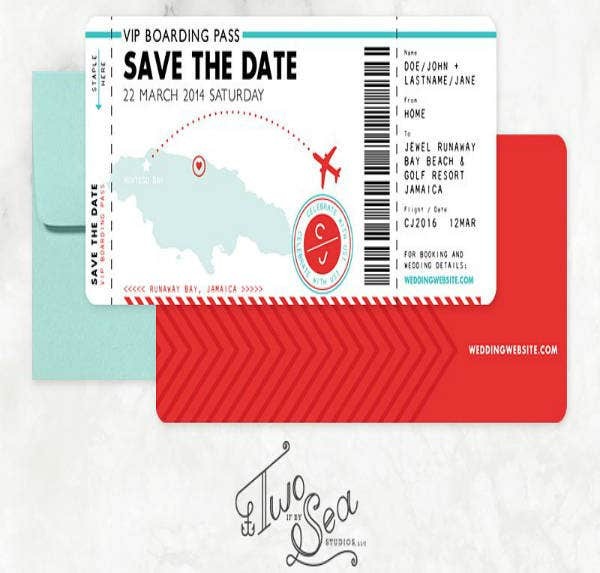 Sending a save-the-date is extremely helpful to the guests especially if you are having a destination wedding or weekend affair. 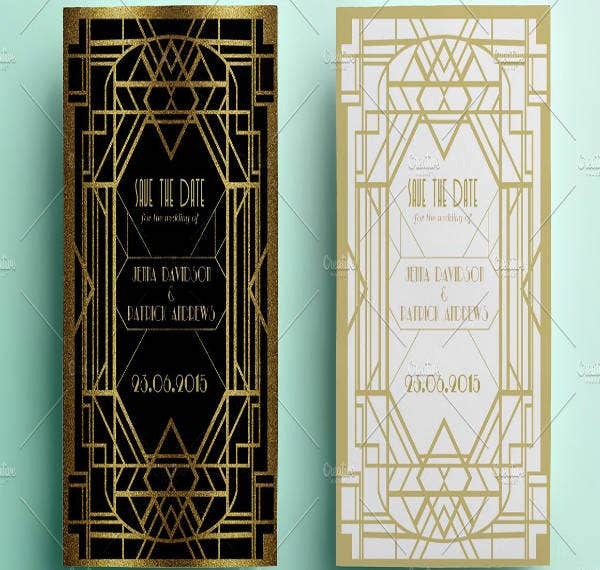 Sending the save-the-dates will allow the guests to prepare as much as the can before the actual wedding day and increase the chances of them being able to attend the wedding. That is the goal, right? You may also see simple wedding invitation templates. The general rule for save-the-dates is that they should be sent six to eight months ahead of the actual wedding day. This gives the guests enough lead time to prepare everything needed for the wedding. For the guest that will be bringing their family with them, they can still save up for the plane tickets and the other expenses for the trip to the wedding. Sending the save-the-dates later would only lessen their chance to attend the ceremony. If you still haven’t decided on the specific location of the wedding, you can just put the city or town to give your guests an idea of which area it would be held. You may also see photo wedding invitations. On the contrary, if you send the save-the-date way ahead of time, say, one year before the wedding day, it might end up being forgotten or tossed aside. That’s too much of a time allowance to give your guests. And if there are changes regarding the details of the wedding, you still have time to send your guests updates. Let’s just hope that they haven’t made final plans yet or they can still modify or change their flight travel schedules or trips. Once you have sent the save-the-date, there is no turning back. So before you send them, make sure that the names on your guest list are the one you would love to attend your wedding. This will also let you avoid from spending more for your resources for the invitation, and it would be less work for you and the organizer. 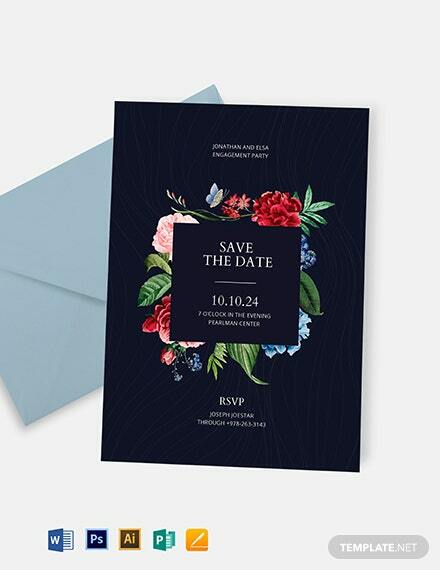 Compared to the wedding invitation, a save-the-date is less formal. As such, you can go for a simpler design for it and you can even deviate from the wedding theme. It doesn’t have to match. 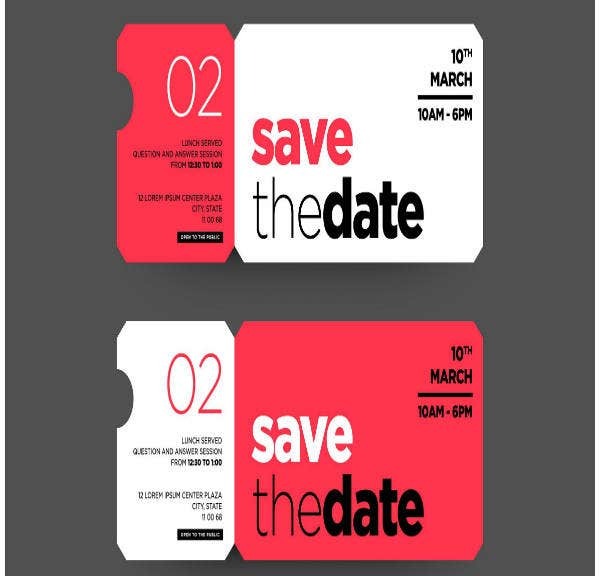 This can only mean that you finally have the opportunity to let your style flourish and let it manifest in the design of your save-the-date. Create something that’s personal and real to who you are as a couple. You can mix the style of you and your partner’s. To take it in a different direction, you can try creating a design that you have hesitated from doing before. Play with the elements, combine a lot of colors, and choose different cool fonts to mix and match until you arrive at an output that you are satisfied with. Have you found the right save-the-date template? 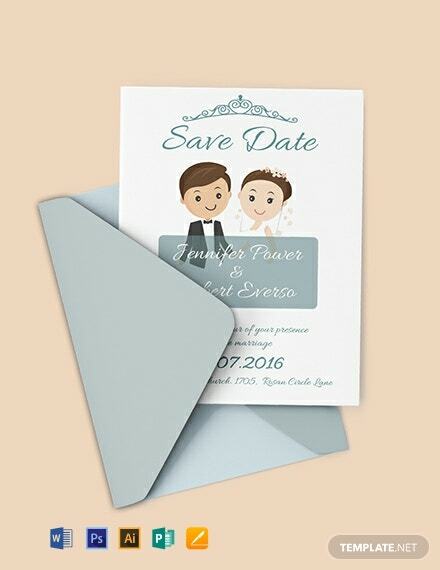 Now that we have reached the end of the article, may you have listed all the common mistakes in creating and sending the save-the-date invitation cards? It’s all for your sake. With regards to the template, may you also have chosen the final one to use for your wedding? These templates cater to a lot of styles, so pick the one that you like the most or the template that you want to try on. If this article has helped you, make sure to bookmark this page and share it on your social media sites to help other people in case they also need these templates. Congratulations on your wedding and we wish you all the best in your marriage!